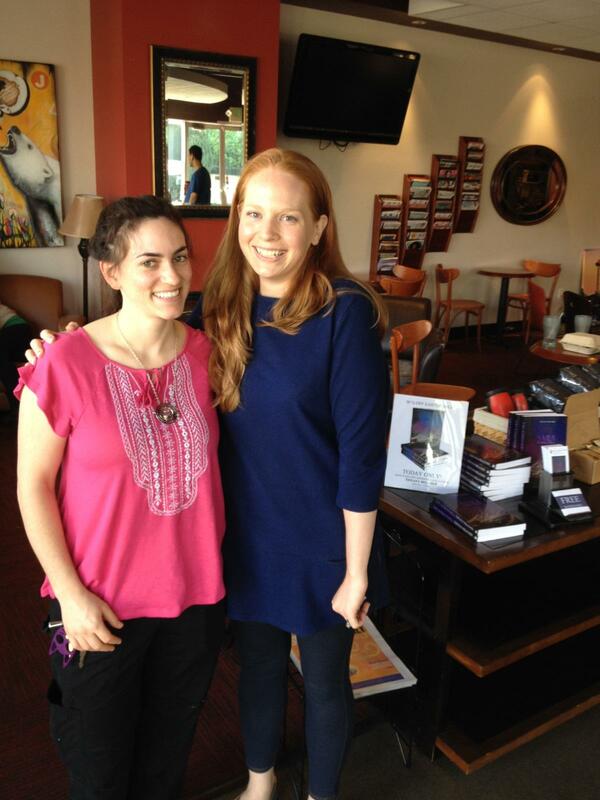 What an exciting author event this past Saturday! 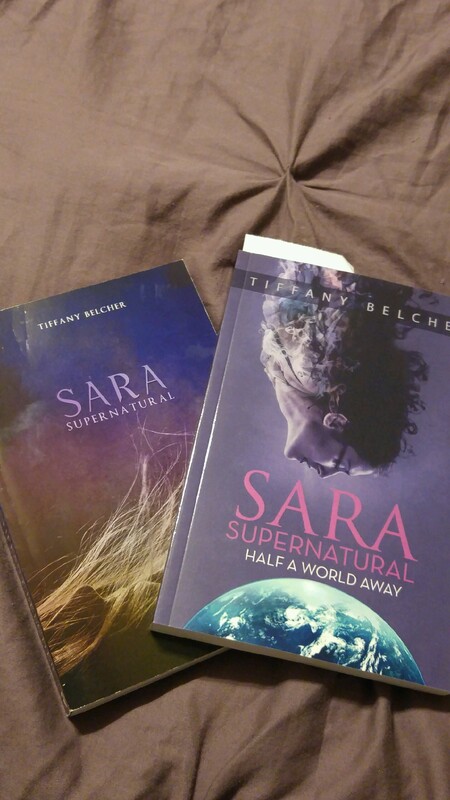 I’ve read Tiffany Belcher’s first book, Sara Supernatural, and loved it and now the second in the series is available. 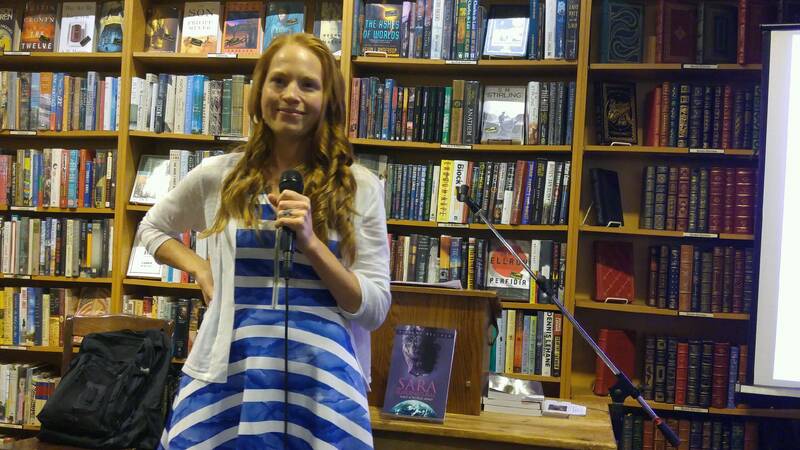 I observed the event to get good ideas for my own Third Place Books event in June. Here’s what I learned: The Den seats about 26. 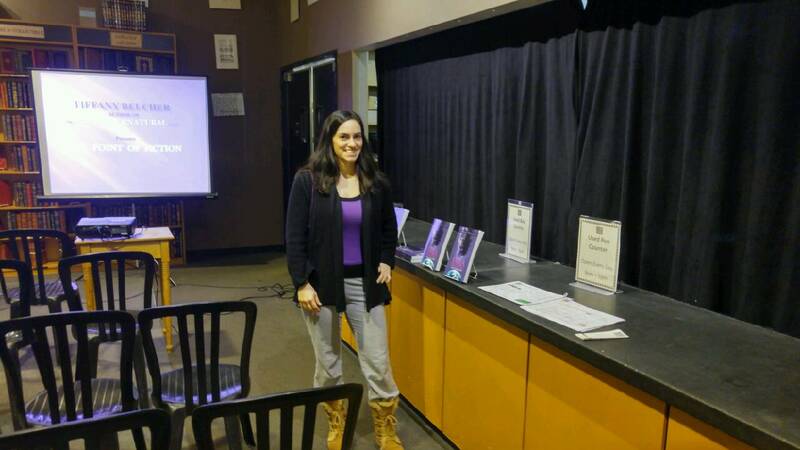 They have a projector and screen available. They have a nice podium and sound system. People can’t see this area from the door, so a big sign and arrow would be handy. Here are some neat pics I took from the event. 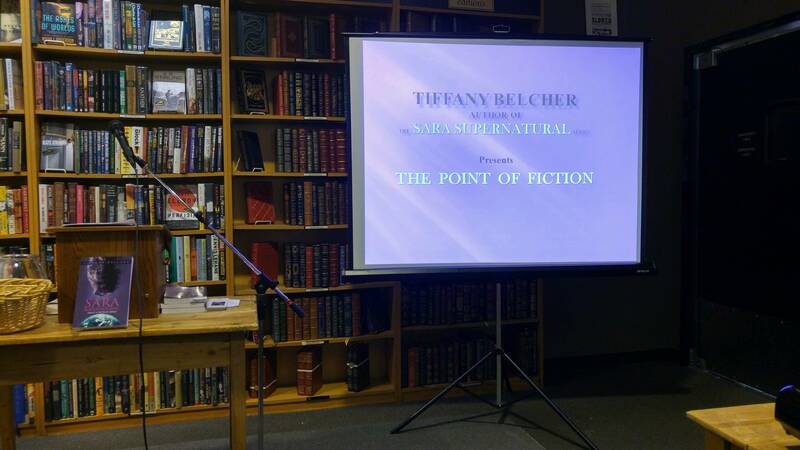 I loved seeing Tiffany Belcher again and she had quite the lovely, entertaining, and useful presentation.